​Denise has led several client strategy and implementation projects to increase and leverage diversity and build more inclusive workplaces; she contributes to other client projects as a subject matter expert and workshop facilitator. In addition, she leads Exponential Talent’s research efforts. She is adept at translating the best academic research and evidence-based practices into actionable solutions, focusing on analytics, benchmarking, and problem solving to develop diversity and inclusion strategies and implementation plans. She designs, develops, and implements programs and workshops. She facilitates and develops change management initiatives to foster more inclusive workplaces. 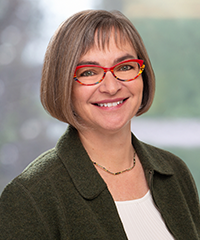 Prior to joining Exponential Talent, Denise led the Top Company for Women in Computing Initiative, a benchmarking program of the Anita Borg Institute (ABI) that evaluates the gender diversity of companies’ technical workforces. As ABI’s research director, she provided diversity expertise in several capacities including writing papers on solutions to recruit, retain and advance women technologists. She also expanded the Technical Executive Forum, an annual gathering of c-level technical executives and CEOs. Denise developed and was Co-Director of TechWomen – a global program of the US Department of State begun by Hillary Clinton – from inception through implementation in collaboration with the Institute of International Education. Denise has a particular passion to support veterans’ transitions to the workforce as a key dimension of diversity. Her expertise includes qualitative and quantitative research, survey and interview design, curricula design and education, program development, metric development and analytics, and project management. She is a Fulbright Scholar, holds a bachelor’s degree from Princeton University, and received her doctorate in social and political sciences from Cambridge University. She is an alumna and speaker for Leadership San Francisco.